At Northwest Eye Associates our success has been built on word-of- mouth referrals. We are always striving for excellence in patient satisfaction and we are committed to treating every patient as we would want our own families to be treated. We examine patients of every age and cater to children by making eye exams enjoyable for kids. Our highly trained optometrists and staff are dedicated to providing you with comprehensive eyecare including ocular disease diagnosis and treatment, contact lens fittings, emergency eye care, and pediatric eye exams. With offices in Sparta, NJ, Blairstown, Stanhope, Califon and Branchville, we’ve got the Northwestern corner of New Jersey covered. With hundreds of fashion eyeglass frames to choose from, high tech ophthalmic lens solutions and innovative contact lens designs we’re here to help you see your best and look your best! We conduct comprehensive exams which allow us to accurately detect eye disease or other abnormalities early, often before they present any symptoms. Early detection in many cases can lead to treatments that will prevent vision loss. We are State Board Certified to diagnose, treat and manage conditions and diseases of the eye such as glaucoma, cataracts, dry eye, conjunctivitis (pink eye) and ocular injuries (corneal abrasions and foreign bodies). 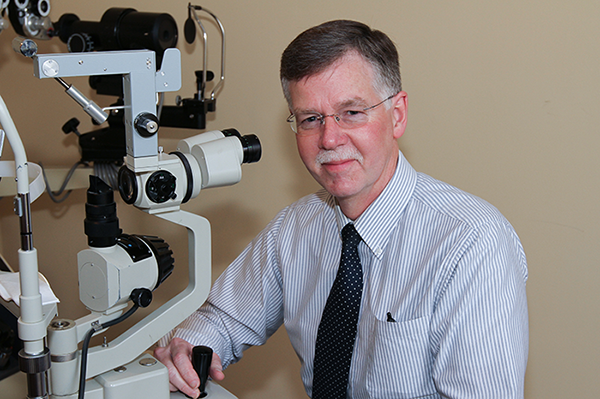 The offices of Northwest Eye Associates began almost 40 years ago when Dr. Tim Johnson opened offices in Netcong/Stanhope (1977) and Blairstown (1979) and Dr. Jeff Clauss opened offices in Sparta (1981) and Branchville (1984). Drs. Johnson and Clauss then opened an office together in Califon (1985) and soon decided to combine all their individual offices to form what today is Northwest Eye Associates. Dr. Bernie Mullin joined the practice in 1985 and Dr. Diane Fabery came on board in 1995. With the retirement of Dr. Johnson in 2012, Drs. Clauss, Mullin and Fabery recruited Dr. Lisa Ruffle to join the practice and in 2016 Dr. Elena Martinez became the newest addition to Northwest Eye Associates.